How does English differ from other languages when it comes to writing? Different countries have different cultures and languages. It is only logical that these countries would also differ in writing style and structure! Good writers use all 4 types of sentences to make their writing interesting and dynamic. Use proper punctuation and a rich vocabulary to enhance your academic work. The 8 parts of speech categorize all the words in the English language. Learning them is crucial. Made fast and easy with the knowledge of Whitesmoke! Enter now. Parallel structure occurs when a sentence contains a list of words, phrases, or clauses, usually connected by coordinating conjunctions (and, or, etc.). Read our latest blog post on parallel structure in English writing. In order to write well in English, you must understand all the elements that make up a complete sentence. In this post, we look at the structure of English sentences. Basic sentence construction is a must for anyone writing English, from native speakers writing at work through to ESL learners. 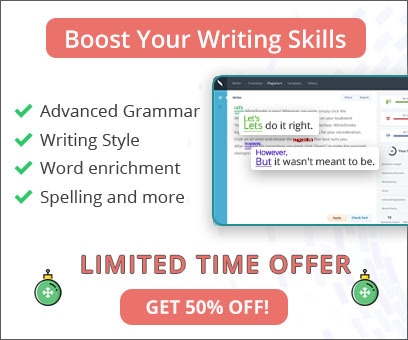 The 4 basic tips in this post will help you construct your sentences correctly.